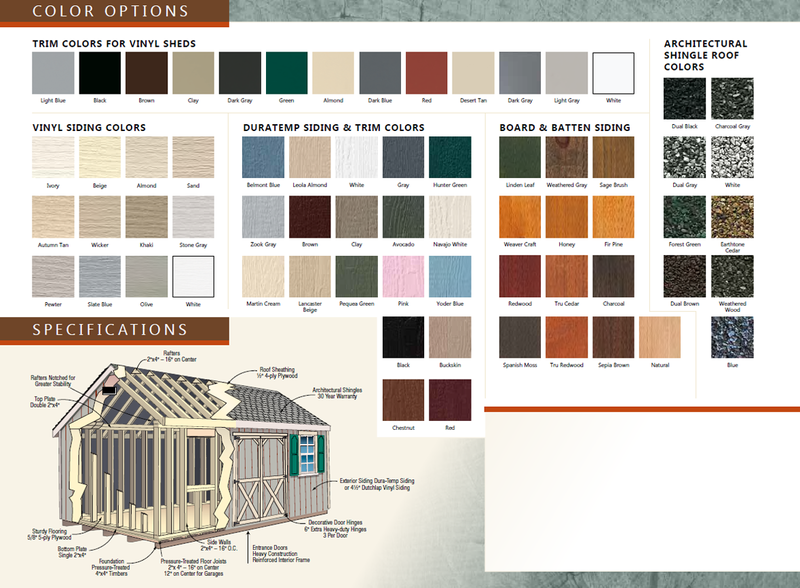 Get the extra storage space and head room you crave with selections from our high-arch Lexington Series. 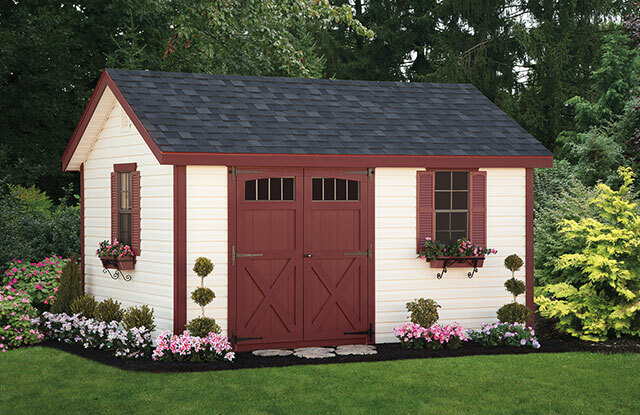 With any of these attractive and durable sheds, you can keep your cars in your home’s garage and use one of these versatile sheds to store your patio furniture, garden and lawn essentials, and much more. 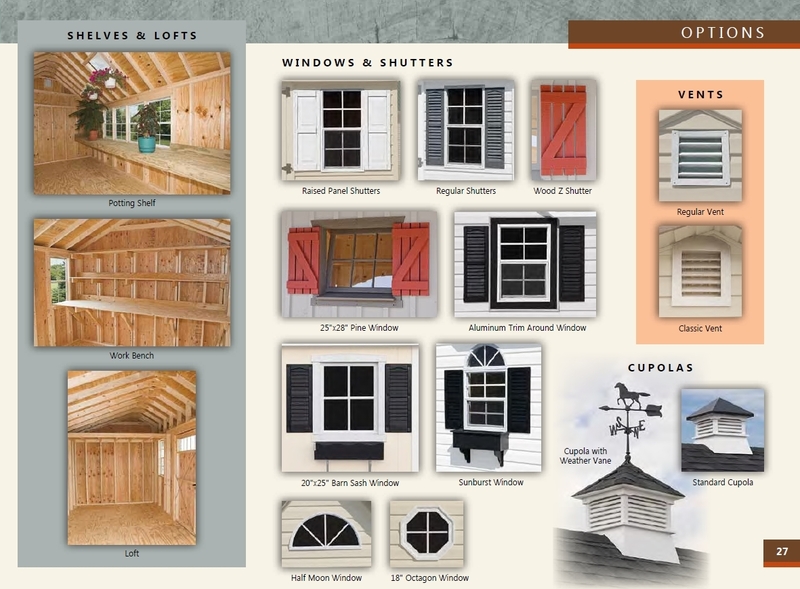 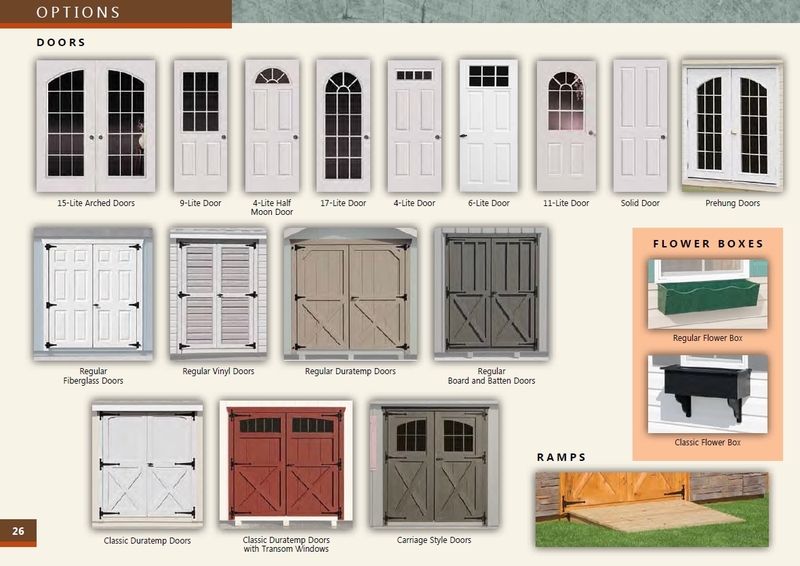 You get an assortment of standard features with this series, including painted treated wood trim, classic or elite doors, trim around windows, and options such as Victorian flower box holders and accompanying flower boxes, transom windows, and classic vents.